March 16, 2012: Opening Remarks by President and First Lady Pat Nixon’s daughters Tricia Nixon Cox and Julie Nixon Eisenhower; Archivist of the United States David Ferriero; actor and former Nixon speechwriter Ben Stein; and Foundation President Sandy Quinn. Musical performances by the Pat Nixon Elementary School. 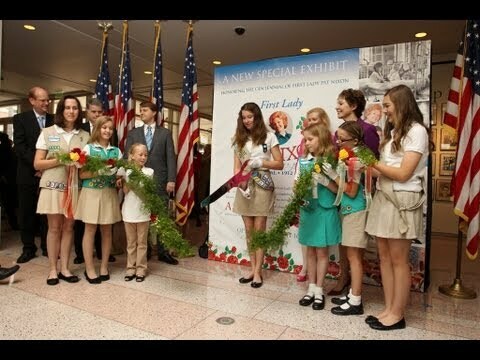 The ribbon cutting ceremony was followed by Mrs. Eisenhower giving a tour of the new exhibit for a Girl Scout troop.